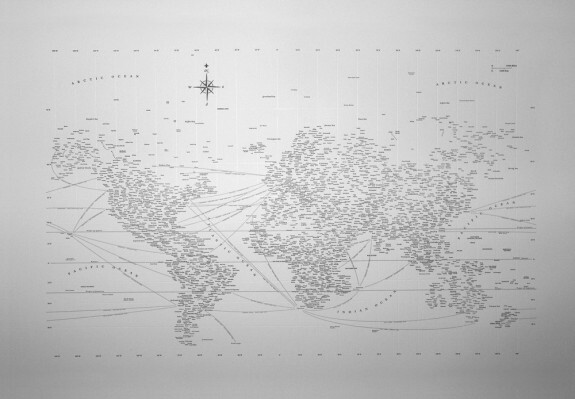 Typographic maps are all the rage these days. Instead of drawing well-defined boundary lines, you substitute words or names, and the landscape shows up on its own. 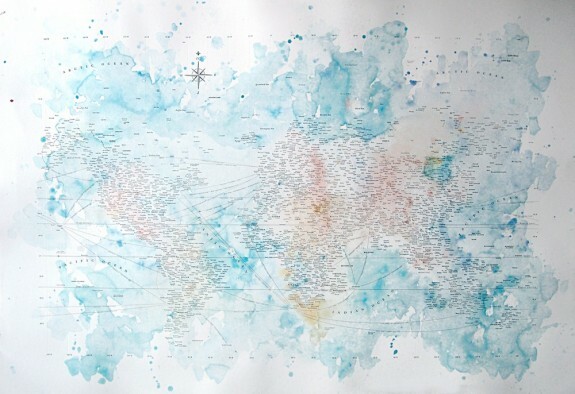 Nancy McCabe's maps, Charteis Graphein, are the latest addition to the genre. 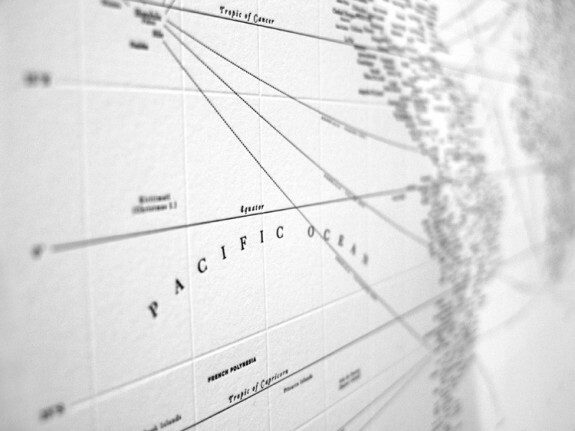 McCabe uses area names—oceans, countries, cities—for the letterpressed maps. You can them in two varieties. The first is clean and simple, as shown below. 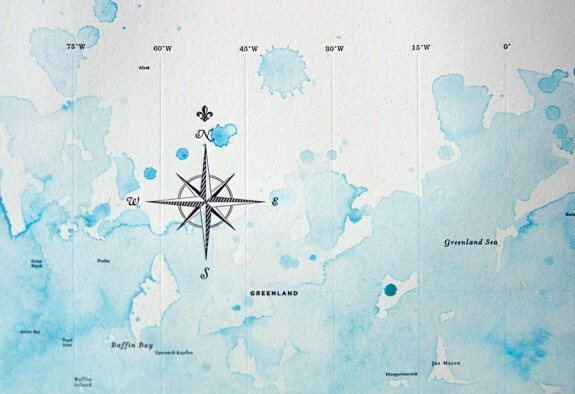 The second is a custom water-colored version (like up top). You can choose the colors if you like. Grab a print for yourself on Etsy for $150 and $175, respectively.